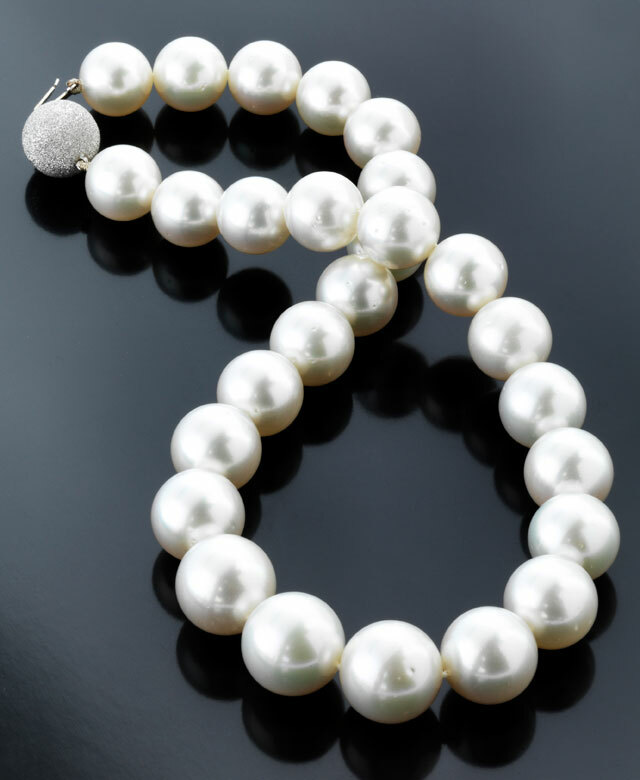 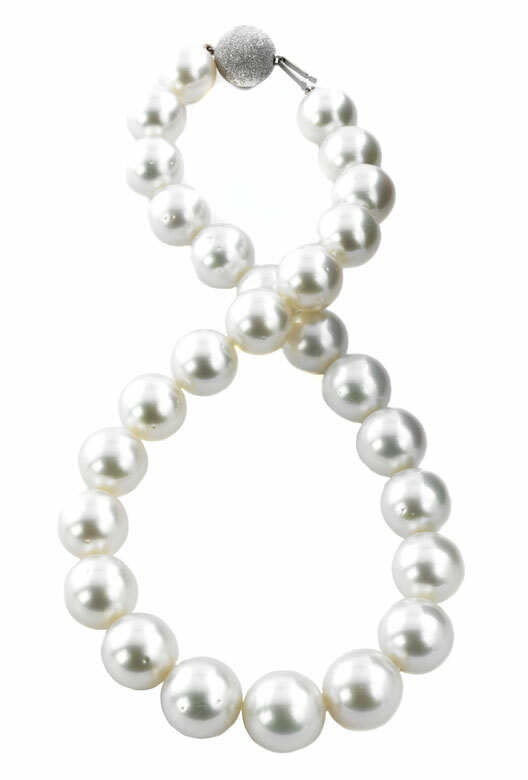 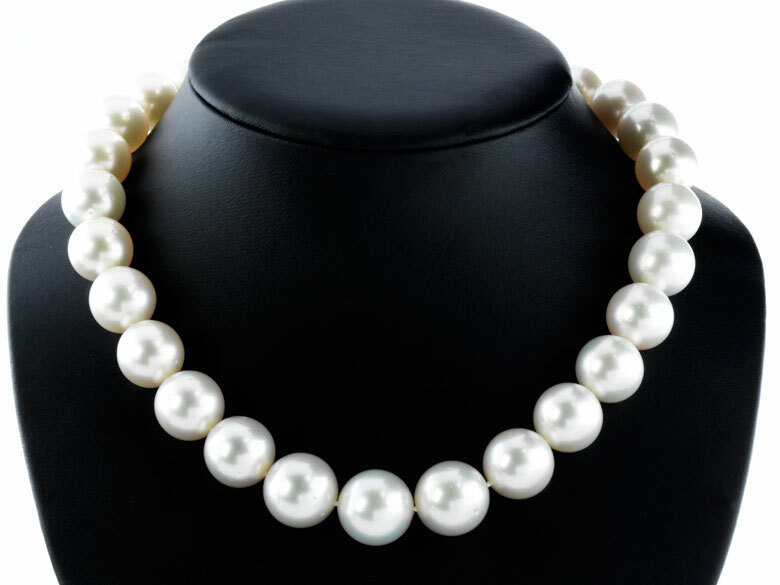 High-quality pearl necklace comprising 27 rare, large fine South Pacific pearls, between ca. 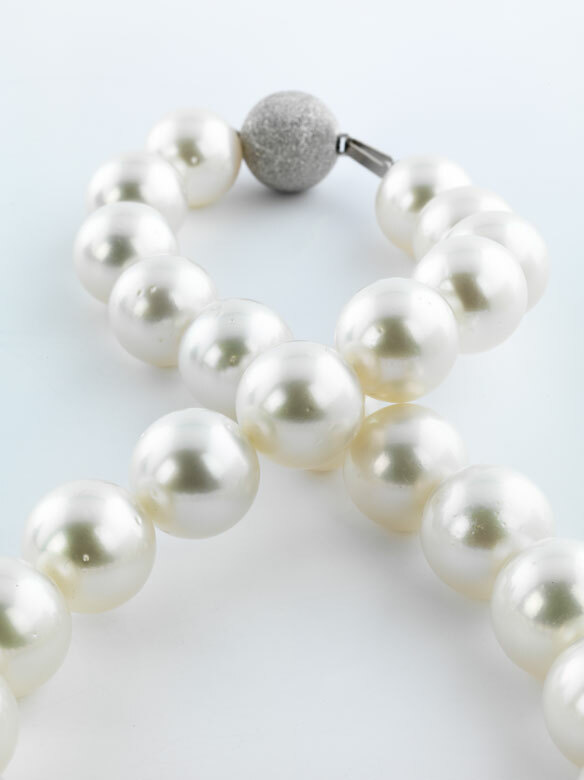 14.7 mm and ca. 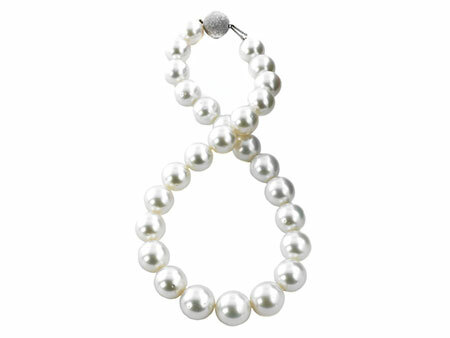 17.2 mm in diameter, with fine, diamond-studded ball closure.